Say "I do" in a venue that's as special as your intentions. From the smallest, most intimate affairs, to the largest, most romantic events. 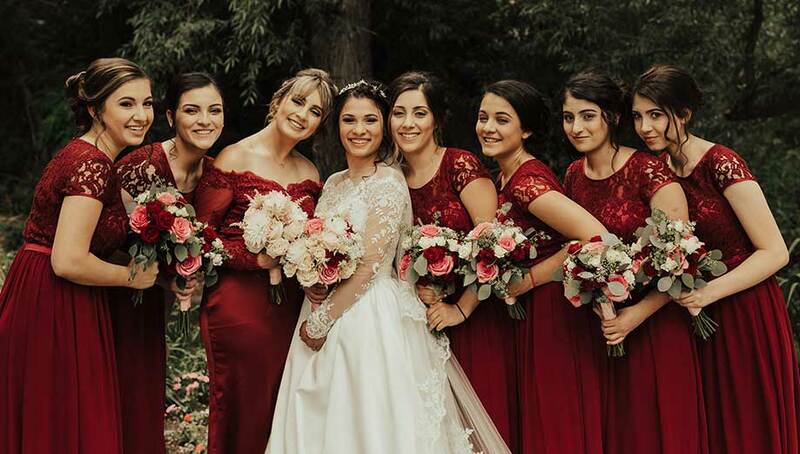 Regardless of your vision for your SpurWing wedding, we can customize the ideal setting to flawlessly complement the true beauty of your special day. 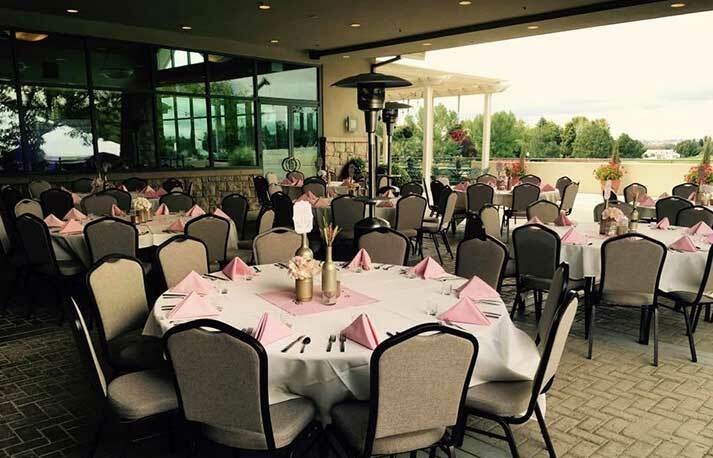 Our rooms can accommodate weddings and receptions of all sizes. 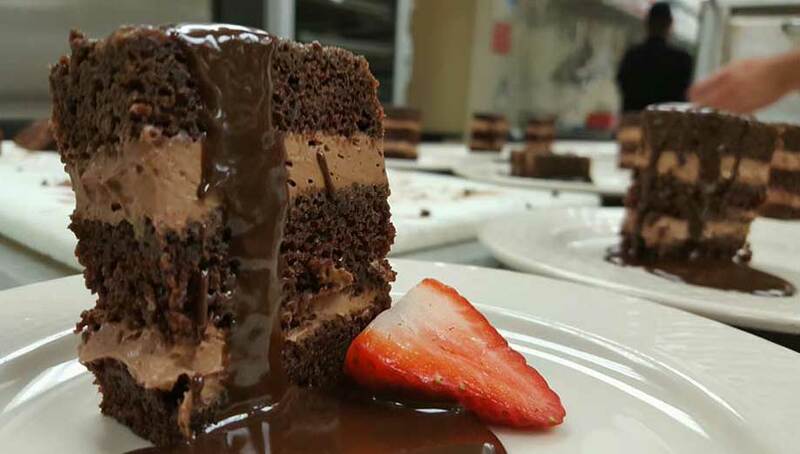 In addition to the gorgeous, wonderfully appointed surroundings, you'll also enjoy the finest cuisine and the highest level of personalized, distinctive service. From the menu to the seating arrangements and beyond — our experienced SpurWing wedding planning team will oversee every setup detail, stopping at nothing to ensure that your special day is perfect, providing you and your guests with memories to last a lifetime. 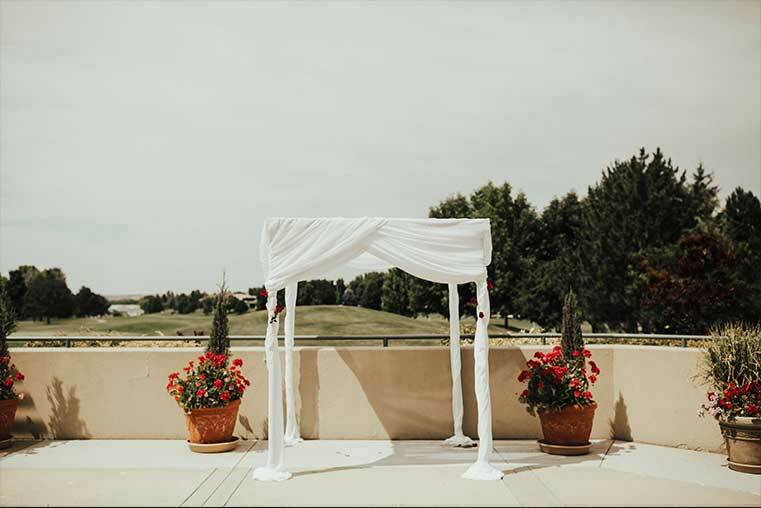 Curious about saying “I do” to The Club at SpurWing? Call or email us at (208) 887-1800 or jess@spurwing.com. 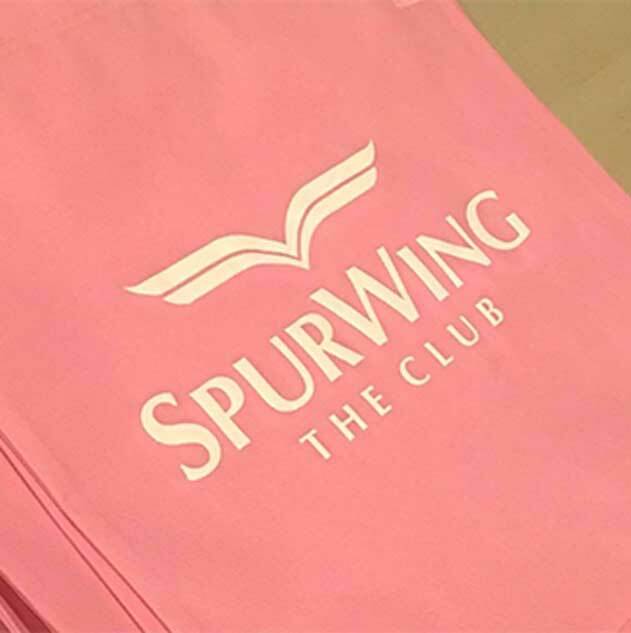 Scroll to learn more about each SpurWing event space. The Gold Tee is 2,200 square feet and accommodates up to 100 guests. 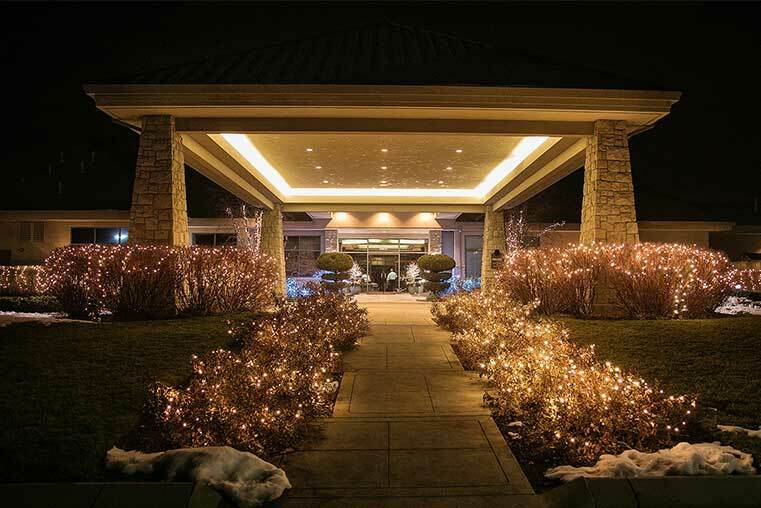 With its 24' high ceilings, 14' windows overlooking the 18th hole, and a massive 10' stone fireplace to anchor the space, it is the most imposing of the SpurWing dining rooms. When the weather is amenable, the room can open onto a covered, east-facing veranda that seats up to 250 guests between both areas. Reserving both the outdoor and indoor spaces has become the most popular choice for couples tying the knot at SpurWing. The Gold Tee Room has tall double doors that can be closed for privacy, or opened to extend the party into the Lounge. A Clubhouse affair (renting the Gold Tee Dining Room, the East Patio, and The Lounge - simultaneously) places the entire Clubhouse at the blissful couple's disposal. Capacity for the clubhouse increases to 350 guests when reserving all three areas. SpurWing's wrap-around outdoor patio can accommodate up to 280 guests for a ceremony and/or 150 seated guests for the reception. The East Patio is adjacent to the 18th green and well positioned to take in the scenery of the golf course and Idaho's rugged mountains. 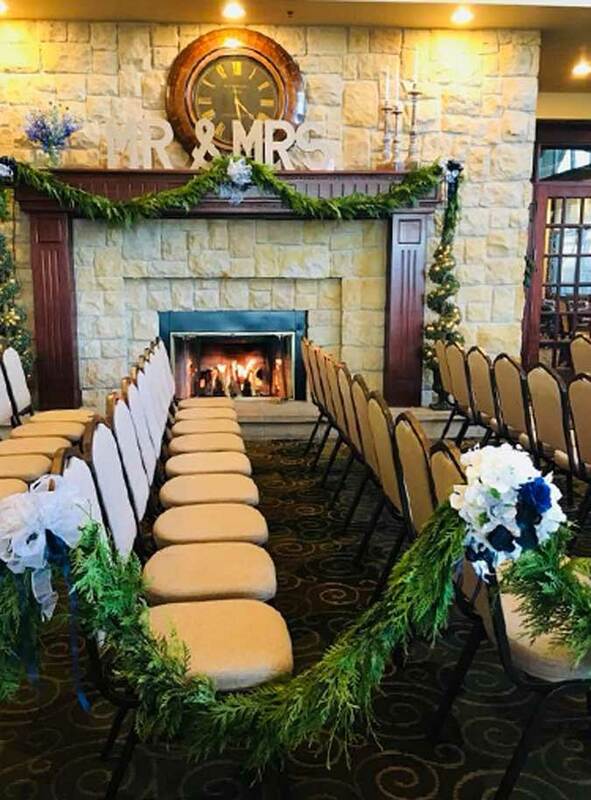 Couples often express their vows on the patio for their ceremony followed by much needed alone time in the bridal sweet while our staff flips the patio into a reception area. The patio is closed in with two walls and is fully covered to keep you shaded and out of the direct weather for added security of the unforeseen. The East Patio and Gold Tee Room combined can hold up to 250 guests seated. Designed for luxury and comfort, The Lounge can accommodate up to 150 guests in the 3,500 square foot space. Its expansive windows let in waves of light, as well as the best views in the clubhouse. Old-world architecture, a 22-foot African oak bar, and plush chairs huddled near cozy round tables make for an intimate and memorable experience sure to impress. The Lounge patio features four perfectly positioned fire pits to take in the beautiful Idaho sunsets where friends and family can order drinks, sip cocktails, and enjoy an evening celebrating your perfect union. Five flat screen high definition TVs are spread throughout the room capable of running slideshows, videos, or the BSU game you didn't realize was scheduled the same night as your wedding. The Lounge opens up to the Gold Tee Room for a combined space holding up to 250 guests indoors and 350 guests with the East Patio. Newly constructed and ready to open in April of 2018, the Sunset Room is situated on the second story of our beautiful new facility overlooking the course below, uniquely positioned to take in the scenery and landscape of the surrounding valley. Seating accommodates up to 130 guests when combining the indoor/outdoor space for a total of 2,400 square feet. 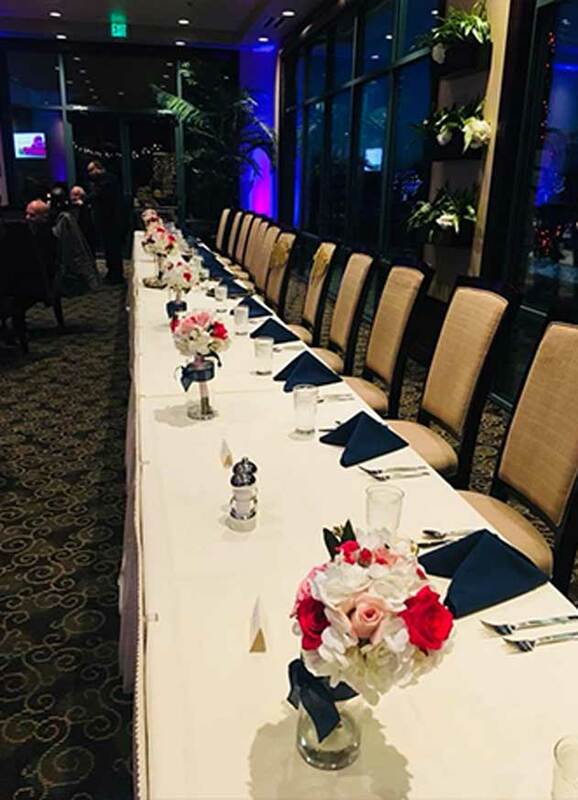 With a giant 4k TV situated at the head of the room capable of slideshows and more, a built-in wireless microphone system, and heaters blasting onto the covered patio area, the Sunset Room is fully equipped to handle your wedding party. The space requires outside catering for food only, but the bar service and staff are complimentary with the price of the room. A private area for the bride and her girls to get ready is provided as part of your room fee. The long antechamber sits at the heart of the Clubhouse with easy access to all areas while remaining conveniently private from the outside. Tall windows offer a glimpse of arriving guests, insulating the bride and her entourage from having to be spotted before the ceremony. Here, a complimentary bottle of champagne is provided for the girls to help ease any pre-wedding jitters. With dual access to both The Lounge and the Gold Tee Room, brides will be in the center of the action without being the center of attention before the big reveal. The Bride's room can also be utilized to store decorations, centerpieces, dresses, makeup, and gifts. Take a scotch neat in The Groom's Room provided as part of your room fee. Play on two full-size poker tables, watch two massive flat-screen televisions, kick-back in seven leather recliners, and make a pop-up bar materialize at your command. Shake off the nerves and let the anticipation build as your groomsmen try out toasts and jokes in this old-school gentlemen's den. The Groom's Room is located on the West side of the Clubhouse, adjacent to The Lounge. 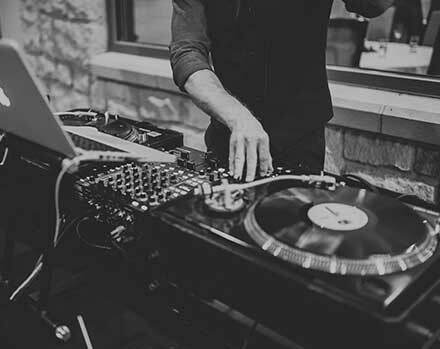 Our event spaces start from $700 during off-peak season and $1,000 during peak season. 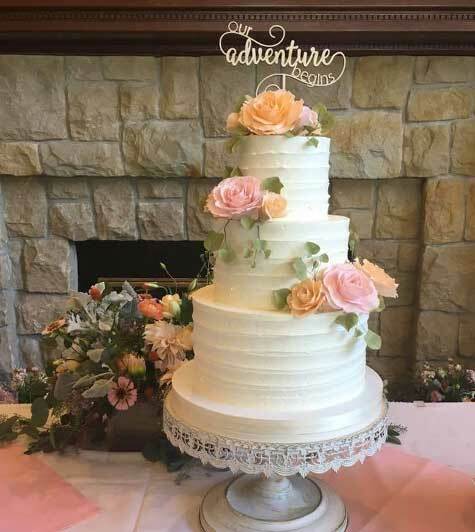 Prices will include setup, breakdown, tables, chairs, linens, dance floor, cake cutting, bride and groom rooms, areas for pictures, and more. The Club considers our peak season to be May through September and the first three weeks of December.